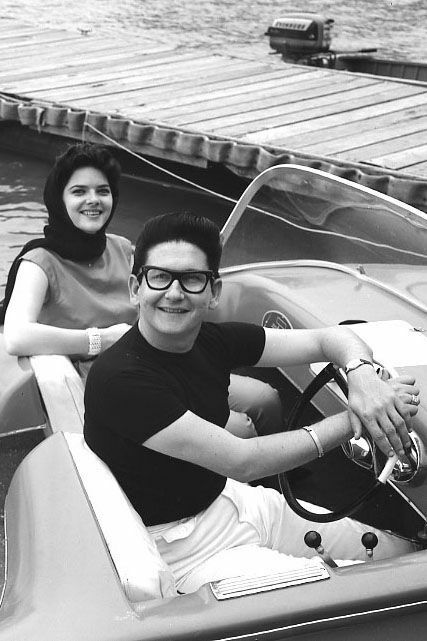 Roy Orbison and Claudette aboard their boat in Hendersonville, Tennessee, sometime in 1961. Whoa! Firstly I am so glad to learn that Roy found someone! That’s fabulous. And secondly I dont believe I have ever seen him without his sunglasses! This is a rare pic!